For more information please contact Purchasing Dept. Disclaimer: AVAILABILITIES ARE SUBJECT TO PRIOR SALE. Call for current availability. We sell business to business ONLY! 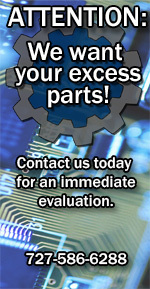 Electronic Parts Catalog ZDI Requirements!